My name is Rathana Sun, I am 23 years old and I am from Kampong Thom province. I graduated from Vanda Institute with a major in accounting. 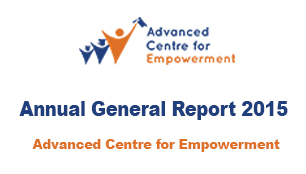 I’m a former scholarship resident of Advanced Centre for Empowerment (ACE). In ACE, I volunteered as the Dormitory and Leadership Training Center (DLTC) coordinator while teaching the life skill training class every Friday night to all 17 residents. Since I’ve moved to ACE, I have learned a lot of skills which I never imagine that I could achieve but now I have become a better person because of it. I have experienced things such as how to work in an office, in a community (especially slum areas), how to communicate with people, understand leadership skills, life skills, self-esteem, how to receive and share with others, how to teach and train people…etc. In the future, I want to be a good leader of one NGO that can help kids, youths, and villagers to get a better life through education in my province.